The Pakistani painter Sadequain on the calligraphic roots of his paintings and the recurrence of cacti in his work. 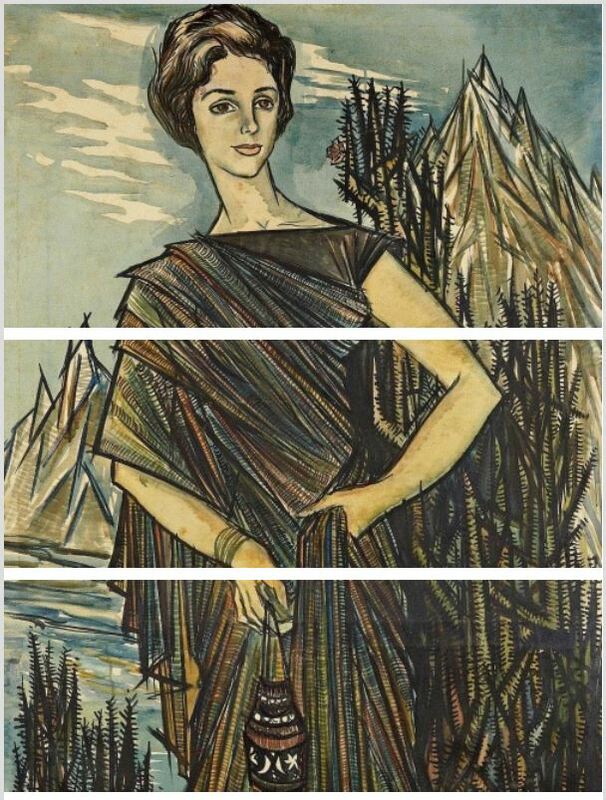 This work is Lady Amidst Mountain Cacti (~1957). Notes: I am very uncertain about the notes for this painting – and it’s not the first time I have found auction notes suspect – looks less like Hestia with a lamp and more like a lady in a sari (albeit kind of reversed) with a batua (like a reticule). This entry was posted in 1950s, Calligraphy, Islamic Art, Pakistani Art, vintage art, vintage fashion, vintage sari and tagged 1950s, art, cactus, calligraphy, Lady Amidst Mountain Cacti, pakistan, Sadequain, sari, subcontinent. Bookmark the permalink.